Why have your “Yoga Teacher Training” with us? This yoga teacher training course includes teachings on the bones, joints, muscles and various movements of the body. 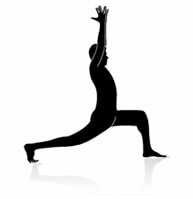 This course will help you to understand the application of body anatomy in yoga postures. This course will explain the importance of postures performed correctly and its effect on the joints withing the body and muscle movement. Yoga teacher trainees will be able to distinguish between right and wrong postures in their yoga practice as well as when teaching. Our yoga teacher training participants will understand the anatomical importance of yoga postures. With this understanding, they will also learn how modifications and adjustments are made within the anatomical range of movement. T his is a certificate course recognized by the Yoga Alliance. This Yoga Teacher Training Course provides an excellent opportunity to awaken or deepen your yoga practice. This course will also enable you to become part of the global yoga community and meet new friends. The course guides one to develop the inner teacher and discover everything which is already within us. This course aims to guide you on how to use the yoga practices as a tool for inner and outer transformation. T his Yoga Teacher Training Course will enrich students with practical and technical knowledge. Students will gain skills in both teaching and observation. The course has a strong emphasis on anatomical and physiological understanding. It also aims to impart a deeper understanding of the philosophy of Yoga and inculcate discipline in one’s own practice. The course will also encourage the students to develop their own voice and intuition. Throughout the course, each class will consist of a combination of demonstrations, clear instructions, feedback and physical adjustment. P articipants will gain a deeper knowledge in the philosophy of yoga, anatomy and physiology. This course will help you to understand scientifically proven yoga therapy and various branches of yoga. Participants will be provided with a supportive environment to learn and grow as confident, nurturing teachers. We offer this training to empower those who are committed to personal practice by guiding them along the precepts of Yoga. Our aim is to provide students with an experience of long lasting happiness and peace. Students will be able to share this experience and teach the yogic lifestyle with and to others. • Learn different Asana names with its Sanskrit interpretation and benefits. • Learn the different categories of Asanas and the basic guidelines of general practice. • Basic theory and rules of alignment in Asanas. • Deepening Asana practice - progression from beginner to intermediate. • Therapeutic role of Asanas in healing injuries. • Modifications and transitions in Asanas practice. • Detailed study of Asanas and their modifications that leads to advancement. • Application of props in Asanas. • Balanced approach between dynamic movements vs static postures. • Identifying the different key muscle groups in Asanas. • Understanding the concept of flexibility and strength. • Application of Asanas to teaching. • Learn the concept of Prana and the general guidelines of a Pranayama practice. • What is the aim and objective of Pranayama? • Difference between Pranayama and deep breathing. • Role of Pranayama as therapy. • Deepening a Pranayama practice with three energy locks, also known as "Maha Bandhas". • Seven Karmas, the cleansing processes in the Hatha Yoga Tradition – Kapalbhati, Jala Neti, Kunjal, Trataka, Shankha Prakshalana. 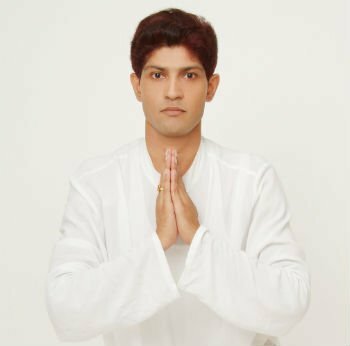 • Learn the use of Mudras (gestures) with their significant benefits on health. • Learn Meditation practices as an introduction to various meditation techniques and sadhana. • Traditions and types of meditation (Nada and Mantra meditation). • Connection of Meditation and mind. • Benefits of Meditation and scientific research on Meditation. • What are the myths about Meditation? • Understanding Yoga Nidra (Psychic Sleep). • Learn Patanjali Yoga Sutra. – Ashtanga Yoga - 8 Limbs of Yoga. – Learn the definition of Yoga, Five Vrittis, Kriya Yoga and mental modification. • Introduction to Bhagavad Gita. • Introduction to Vedas and Upanishad. • Introduction to Yoga texts – Hatha Yoga Pradipika, Gheranda Samhita & Haṭharatnāvalī. • Essence of Yoga philosophy (Jnana, Bhakti and Karma Yoga). • Learn the ethics of a Yoga Teacher, the Lifestyle and the Value of Teaching. • Essence and importance of Ayurveda in Yogic culture. • Learn the concept of anti aging through Yoga and Ayurveda. • Learn three anatomical position. • Learn about the Musculoskeletal System; bones, joints, planes of axis and biomechanics. • What are the different types of muscle contraction? • How are muscles organized? • Learn about the movement of muscles. • Learn the functions of muscles and its relation to the yoga practice. • Science of Stretching – dynamic, static, PNF, active, ballistic, passive. • Different systems of the body and their relationship with traditional Asanas. • Safety Considerations, Modifications and Safe Alignment. • Special Concerns of Practice (menstruation, pregnancy and ailments). • Subtle Body – Nadis, Chakras, Pancha Kosha, Pancha Prana, Vayus, Gunas. • Teacher’s essential quality, principle, observation. • Learn about class management. • Learn about injury prevention, improper practice in forward fold, twisting and back bending. • Principle of practice and multiple layers of Asana practice. • Guidelines for sequencing and verbal instructions (Sequencing for Menstrual Cycle). • What are the business aspects of teaching Yoga (marketing & legal aspect). 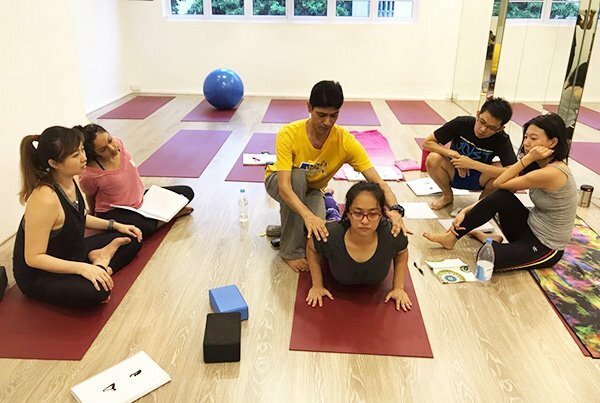 Yoga Mala conducts both full-time, as well as part-time Yoga Teacher Training Singapore courses. Our full-time courses are conducted on weekdays whereas our part-time courses are conducted only on the weekends. Please refer to the schedule below for our yoga teacher training Singapore classes in 2019. *Yoga Mala reserves the right to change the schedule of the Yoga Teacher Training Singapore programme. I had taken and taught yoga-based classes for a few years before enrolling in Yoga Mala’s 200 hour teacher training program. Before the training, I always felt that I was lacking in my understanding of yogic philosophy, postures and human physiology. I wanted to improve my own technique and ability to instruct and at the beginning of the course, I felt that this was only possible through a lot of physical practice. However, as we progressed through the four weeks, I found the course to be a great blend of theory and practice. Our trainer Rajesh emphasized the importance of developing body awareness as the key to becoming a good teacher and yogi and this has been my biggest take-away from the course. The training also taught me how to develop effective class sequences, deliver clear instructions and modify poses as per the needs of class participants. In addition, Yoga Mala also offers practical teaching experience to trainees which have played an instrumental role in enabling me to develop my teaching skills. The course is mentally, physically and emotionally challenging. It’s an information packed course and answers most of the questions that I used to have when I attended yoga classes and wondered about the flow of asanas. The instructors are well informed and explanations are clear. When there’s doubt, we had discussions to clarify the questions. We’re encouraged to go away and pondered about our questions if we’re unsatisfied with given answers and discussed them again the next day. Personally, I learnt yoga is more than just asana. It’s a way of life and asana is just a small part of yoga. I learnt about the different types of pranayama which allows me to be better in charge of my health. The course gives me the confidence to conduct my own practice without the fear of hurting myself. So, thank you, Rajesh, for your kind instructions. Rajesh was born and educated in New Delhi, India. He obtained D.Y.Ed. (Diploma in Yoga Education) from renowned school of Yoga G.S.College of Yoga & Cultural Synthesis, Kaivalyadhama, Lonavla, Pune (Maharastra), India. Since then he has been a student of Yoga for 20 years and is still constantly expanding his interest in related studies like Naturopath, Acupressure and Reiki. 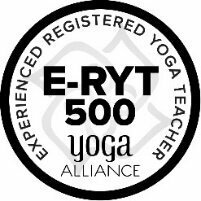 Rajesh also accredited ERYT 500 with the Yoga Alliance, USA. He has achieved 18 years of experience in teaching Yoga and Yoga therapy in India and Internationally. 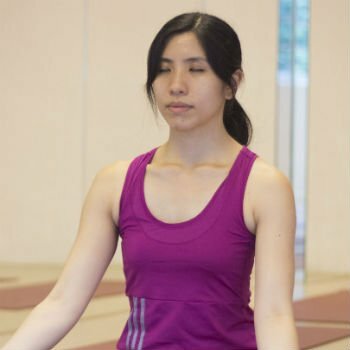 Mien is a qualified and accredited yoga teacher and has been teaching yoga since 2011. She is equally at ease teaching an intense advance yoga class or a guided Yoga Nidra and Meditation session. She seeks balance and self-awareness in her classes by combining yoga postures, breathing, deep relaxation and sometimes, meditation. She believes that yoga creates change in the individual, restoring one to a state of peace and equanimity. Her greatest satisfaction in teaching is to see students finding relaxation after every class. She believes that attainment and perfection in yoga is not about the accumulation of achievements but about the ability to do every task with excellence and perfection. Humility is the first step in yoga. The actions itself are more important than the list of collected accolades and that applies to every aspect of life. To maintain awareness in everyday life is her work in progress. • A $500 non-refundable deposit is required for registration in the Yoga Teacher Training course. This deposit has to be paid in full and cannot be discounted along with any other promotions. • Please make the remaining payment in full prior to the start of course. Yoga Mala accepts payment in the form of NETS, Cheque or Online Banking. Please contact Yoga Mala for more details regarding the payment methods. Any applicable third-party charges will be payable extra by the student. • Total course fees do not include any additional reference books and Yoga Alliance registration fees apart from student course manual. • Re-examination fee is at SGD 150 each time a student re-sits for an exam (re-examination for both Theory and Practical is SGD $300). • In case the certificate is lost or damaged, re-certification fee is SGD 100. Please hurry before this offer runs out. Contact Yoga Mala here for further enquiries. Must have a deep desire to learn and personally explore the deeper dimensions of yoga. Need not have prior yoga practice or experience. Must be free of major injuries before going into the course. Must be willing to forgo most other personal or professional commitments for the duration of the course. Students have to score a minimum of 70% for each section and 70% overall aggregate to pass. Students will have to sit for a re-assessment with the next batch if they fail to comply with above said criteria. Re-examination fees per segment is SGD 150. 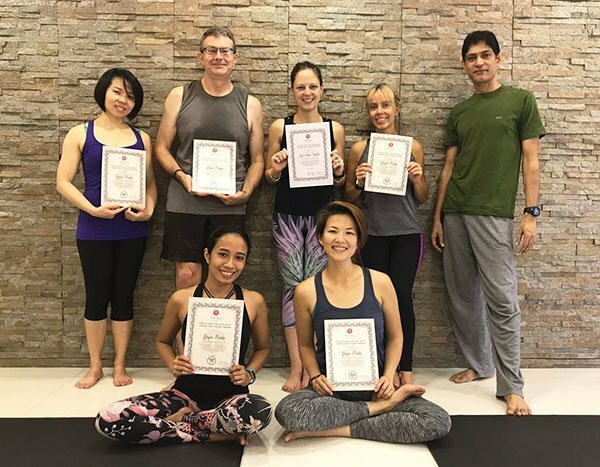 After fulfilling the Yoga Teacher Training requirements, students will be presented with a Certificate of Completion for this Yoga Teacher Training programme from Yoga Mala, which is recognised by the Yoga Alliance USA. After this course, you are eligible to become a registered Yoga Teacher (RYT). Please see complete standards on www.yogaalliance.org. Please purchase the following yoga texts for your teaching training. *Please note that the Yoga Sutras and the Hatha Yoga Pradipika have numerous translations; the translation which is used and recommended for the teacher training is listed below. We sell Asana Pranayama Mudra Bandha and Four Chapters of Freedom at nominal prices. Those taking the teacher training course with us will be given a discount off the online store price. Please enquire directly. • Asana Pranayama Mudra Bandha by Swami Satyananda Saraswati. 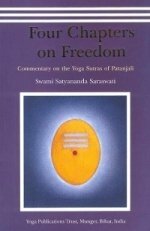 • Four Chapters on Freedom by Swami Satyananda Saraswati. • Yoga, The Spirit and Practice of Moving into Stillness by Erich Schiffmann. • The Key Muscles of Yoga by Ray Long. Recommended Additional Readings (not required for the course but are good references to keep). • The Heart of Yoga by T.K.V. Desikachar. • Light on Yoga by B.K.S Iyengar. • Anatomy of Hatha Yoga: A Manual for Students, Teachers, and Practitioners by David H. Coulter. • Hatha Yoga Pradipika by Swami Muktibodhananda. • Key Poses of Yoga by Ray Long. For more details, please email Rajesh at contact@yogamala.com.sg or contact him at +6584981649. 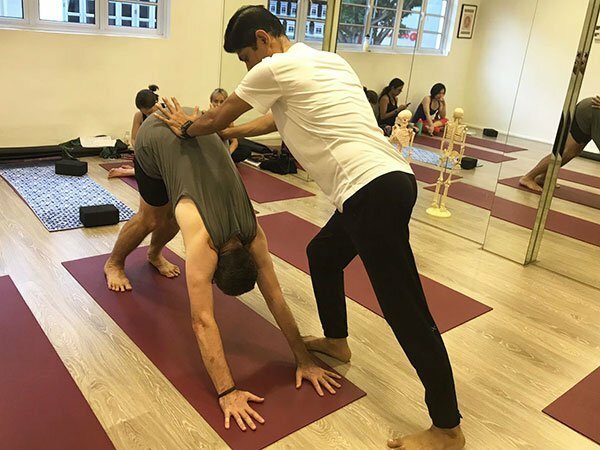 Why are we cheaper than most of other yoga studios in Singapore? We are a newly established studio with a vision of spreading yoga education to the masses at a very reasonable price. Our 200 Hour Yoga Teacher Training is recognised by the Yoga Alliance USA. 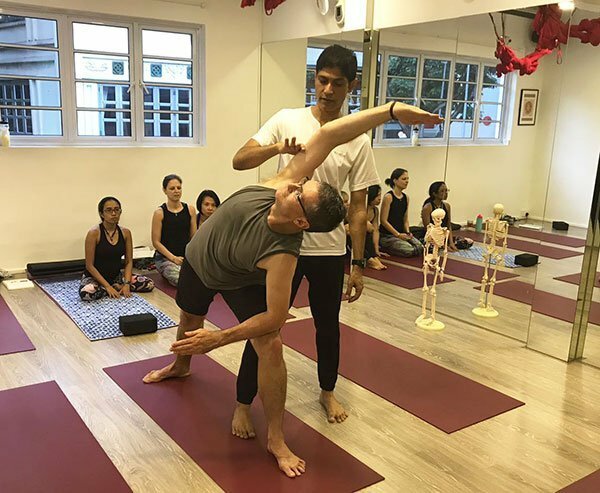 Our yoga teaching is primarily based on body anatomy which makes us our teaching different and unique as compared to other studios. This course is suitable for anyone who has a basic knowledge of yoga. You may not necessarily have the goal of becoming a yoga teacher. This course will, in general, awaken or deepen your yoga practice. If you have any doubt, please feel free to contact us or drop by our studio allow us to help you. Who will be your guide and mentor? Mr Rajesh will be conducting the whole yoga teacher training course. He is the director of all our yoga teaching programmes at Yoga Mala studio. He has had almost 15 years of experience in yoga teacher training and yoga therapy. He is accredited with ERYT 500 with Yoga Alliance, USA. He combines his extensive knowledge of body anatomy with an intuitive and compassionate approach to yoga teaching. He has taught in large yoga studios all over Asia. Mr Rajesh strongly believes that yoga is for everyone, and of all age groups. Yes, student course material is included in the price of training. However, students may purchase additional supporting reading materials suitable for the course. We have given details regarding recommended reading materials on this page (refer above). When we are starting this course? Yoga Mala is running full-time as well as part-time yoga teacher training courses throughout the year. Full-time courses are conducted on weekdays whereas part-time courses are conducted only on the weekends. Please refer to the schedule above for all courses in 2016. You must attend all 200 hours of this course to comply with the yoga training course requirements. However, we understand that you may not be able to foresee every conflict in schedule. You may complete any of your missed class(es) in any of the upcoming full time or part time courses absolutely free of charge. You may have to spend between 6 to 10 hours per week on written assignments and practice. 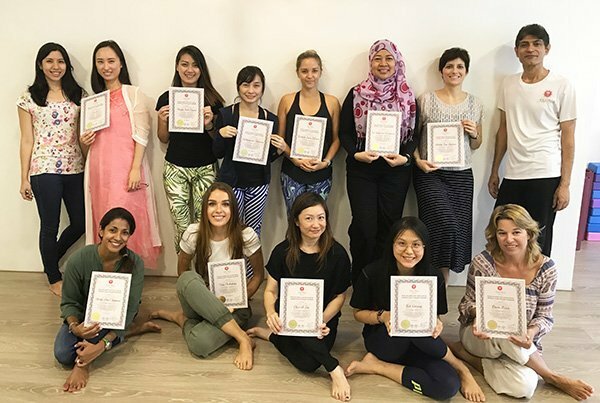 Yes, students will be presented with a Certificate of Completion for this yoga teacher training course from Yoga Mala that is recognised by the Yoga Alliance, USA. After certification, you will become a registered Yoga Teacher (RYT). This programme is designed to teach Yoga and its practices in totality, according to the guidelines stated by the Yoga Alliance USA. Therefore, students will be expected to be exposed to, learn and know the multifarious facets of Yoga and the commonly known practices of Yoga. As yoga instructors, each of us recognizes the sensitive nature of the student-teacher relationship. We believe that it is the responsibility of the yoga teacher to create a safe and protected environment in which a nurtured student can grow physically, mentally, emotionally, and spiritually. Asana: Upon completion of the program the student will be able to perform the asanas or guide a student into the asanas covered in the program. For each posture the student will be able to describe how to enter and exit the posture, the benefits, cautions, and contraindications, the proper alignment of and perform the hands-on adjustments. The basic Pranayamas of Diaphragmatic, 1:1, Dirgha/Yogic Breathing (Three Part), Ujjayi, Nadi Shodhana, Kapalabhati will be covered as well as the Bandhas: Mula bandha, Uddiyana bandha, Jalandhara bandha. Meditation: Upon completion of the program the student will be able to engage in a seated meditation practice and describe the benefits and cautions of these practices. Philosophy: Upon completion of the program the student will be familiar with the eight limbs of Yoga as defined by Patanjali in the classic text, The Yoga Sutra. Anatomy and Physiology: Upon completion of the program the student will be able to correctly identify the major bones and muscles of the body, understand movement and how to prevent injuries from occurring during asana practice, understand the primary systems of the body and understand the energetic body (including the Chakras). Teaching Methodology: Upon completion of the program the student will be able to properly sequence, construct, and instruct a safe class. Personal Growth: In addition to the skills directly related to teaching yoga, the student is likely to enhance their own personal yoga practice, improve their communication skills, and understand personal and business ethics. To gain maximum benefit from the program attendance to all sessions is required. If student anticipate missing class sessions, please discuss this with the Lead Trainer/ Teacher Training Director. Formal attendance will be conducted for each class. Please arrive 10 minutes early to adequately prepare for the class.If a student does miss a class, they must meet with the Teacher Training Director to develop and agree on a plan to learn the missed content and fulfil the required hours. The student must be responsible for his/her own learning and find out from peers. Please be on time and arrive at least 10 minutes early to be ready for the start of class to prevent disruption to the course. Leaves of Absence are not offered from the Teacher Training Program. If a student should have to discontinue the training, they would have to begin again. No refund will be given. Audio/Visual recording is strictly prohibited. Mobile phones, cameras and other recording devices will not be allowed into the studio space at any point during the sessions. Photos and Videos may be taken from time to time on our premises by Yoga Mala employees, solely for Yoga Mala marketing purposes. Yoga Mala’s practice studios and public areas are equipped with CCTV cameras to prevent the risk of loss, damage or disputes that may arise within its premises and is not for distribution purposes. Yoga Mala does not accept any responsibility for cancellation, termination, delays, changes or losses caused by acts of God, war, and threat of war, closure of airports, civil strife, natural disasters, accidents or any other events beyond our control. This includes injuries, illnesses, medical or psychiatric conditions of trainees developed during or subsequent to the course as well as loss of, or damage to, personal property during the training. Yoga Mala accepts no liability for any injury or illnesses that occur to trainees during the training, workshops, retreats, classes, or any prior illnesses or injuries. Under any circumstances, no refund of fees paid will be given if the student decides to withdraw from the course once the course commences. No refund of all money paid will be given if the student is dismissed from the course due to the following reasons stated under Student Conduct (Please refer to point 4: Student Conduct). Should Yoga Mala require to cancel training under unfortunate circumstances, a refund will be provided on a prorate In such situations, Yoga Mala will not be responsible for any costs incurred for travel arrangements or accommodations related to any event. It is the student’s responsibility to acquire any applicable insurance to protect himself/herself from any loss due to program cancellations, changes or weather delays. Yoga Mala will not, under any circumstance, reimburse the student for airfare, ground transfer and all other transport expenses. Weekly homework, journals and final exam, and a teaching demonstration (practicum) will be used to assess the student’s understanding of the material presented. The written exams, homework and journal will show the student has obtained an understanding of the information presented during the training. The practicum allows the student to demonstrate they have learned to teach a Hatha Vinyasa class in a safe and sound manner. The written exam will cover: Teaching Methodology, Anatomy and Physiology, and Yoga Philosophy/ Lifestyle and Ethics for Yoga Teachers. A practical exam will cover Teaching Techniques. Within three weeks of completing the written exam and practical exam students will be notified in writing regarding their certification status. Students are expected to maintain a daily journal of their personal sadhana consisting of the practices taught to date, meditation, class observances, assisting in class and philosophy. Should the Student’s progress not be satisfactory at any point during the training, the Student will be notified immediately to schedule a meeting with the Lead Trainer/School Director to discuss ways to improve performance and complete past requirements. Certification will not occur if the student fails to demonstrate safe instruction, the student fails to demonstrate understanding of the material presented, or the student violates the Code of Ethics. 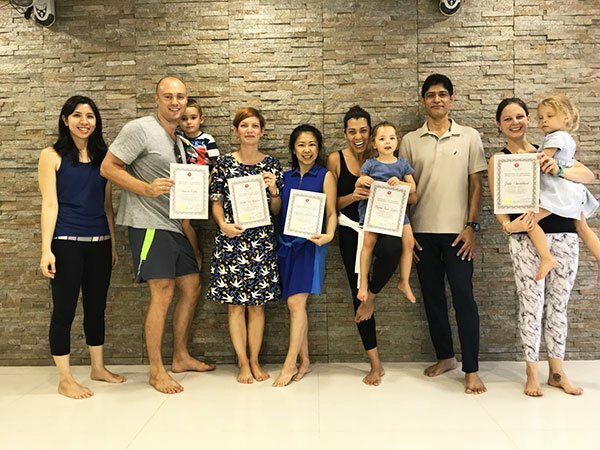 To receive a certificate of completion from Yoga Mala Yoga School, the Student must pass all exams, complete all papers satisfactorily, and meet attendance requirements. 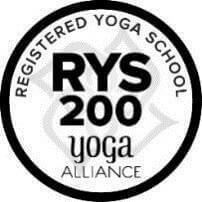 After which, the Student is eligible to register as a Registered Yoga Teacher (RYT-200) under Yoga Alliance USA 200 Hour training program recognition (cost of registration and membership on Yoga Alliance’s website is to be borne by the Student). Date, time and Length of Practice and any additional notes or thoughts. Maintain a regular meditation practice, minimum of 5-10 minutes a day. Mouna, is a period of silence, no electronics, mobile phones, tv or computer, of which can be practised during meals, early morning or before bedtime. It is a time for self-reflection, observation of activity for the day, setting the day’s goals/intentions or thoughts observation. It can also be counted under reading of a book related to Yoga & Yoga Philosophy, any of the articles in the YTTC Manual or any additional articles supplemented during the course later on. Entry shall focus on thoughts or notes. Maintain daily gratitude journal, simply stating one thing that the student is grateful for each day. Outright changes will be avoided if at all possible, but should there be a need for a time or venue change, students will be notified via email within one week of the date at the latest. Absences are recorded by attending faculty and assistants and kept with student records. Satisfactory progress is defined as actively participating in all contact hours and levels of the training program and completion of the homework and journaling. In the event a student does not achieve the established criteria for determining satisfactory progress, the student will be notified. The student cannot pass the training until he/she meets the requirements. Students will receive updates on their progress orally as well as through homework and journaling. Students struggling to keep up will be given an opportunity to make satisfactory progress through make-up classes with the next Teacher Trainee batch and the option to postpone the exam, to be taken with the next immediate YTTC batch. In the event that the student is still unable to make satisfactory progress with the make-up classes, the student will be released from the program. Students to be terminated from the program are notified in writing and may appeal to the director of the Yoga Mala Teacher Training Program within three days of Notice of Termination. There is no refund applicable at any stage or any circumstances. All students requesting reinstatement may be denied at the discretion of the Program Director. Students applying for reinstatement must attend a meeting with the Lead Trainer/School Director, where the terms of reinstatement will be established based on the original reason for termination from the program, see student conduct above. These terms will be put into a written reinstatement agreement which must then be signed by the student in order to be reinstated. The student understands that any breach of the reinstatement agreement results in termination. All decisions are final. A $500 non-refundable deposit is required for registration in the Yoga Teacher Training course. This deposit has to be paid in full and cannot be discounted along with any other promotions. Please make the remaining payment in full prior to the start of course. Yoga Mala accepts payment in the form of NETS, Cheque or Online Banking. Please contact Yoga Mala for more details regarding the payment methods. Any applicable third-party charges will be payable extra by the student. Total course fees do not include any additional reference books and Yoga Alliance registration fees apart from student course manual. Re-examination fee is at SGD 150 each time a student re-sits for an exam (re-examination for both Theory and Practical is SGD $300). In case the certificate is lost or damaged, re-certification fee is SGD 100. Yoga Mala reserves the right to change the schedule or place of the programme at any time without prior notice. I understand that all Yoga Mala Teacher Training materials are under copyright protection and cannot be reproduced by anyone without the permission of the author or Yoga Mala. Yoga Mala will take all necessary action to enforce its copyrights within the law. YOGA MALA IS NOT LIABLE AND WILL NOT ASSUME RESPONSIBILITY FOR ANY CLAIMS, LOSSES, DAMAGES, COSTS OR EXPENSES ARISING OUT OF INCONVENIENCE, LOSS OF ENJOYMENT, UPSET, DISAPPOINTMENT, DISTRESS OR FRUSTRATION, WHETHER PHYSICAL OR MENTAL, RESULTING FROM THE ACT OR OMISSION OF ANY PARTY OTHER THAN YOGA MALA AND ITS EMPLOYEES. If the Student has a complaint, he/she should first inform Yoga Mala during the training/workshop so that Yoga Mala can attempt to rectify the matter if appropriate. If the Student is still dissatisfied, he/she should submit the complaint in writing to Yoga Mala within 30 days of the completion of the program. In such cases Yoga Mala decision is final and binding to students. Any controversy or claim arising out of or relating to this Agreement, brochures, or any other literature concerning the program, or the breach thereof, including without limitation any claim related to illness, injury, or death, shall be subject to the following conditions: 1) the dispute will be governed by Singapore law; 2) the parties agree that they will attempt in good faith to settle any and all disputes arising out of, under or in connection with this Agreement, including without limitation the validity, interpretation, performance and breach hereof, through a process of mediation in Singapore under the supervision of a mutually agreed upon mediator; 3) in the event that mediation fails to settle such a dispute, the parties agree that they will proceed as applicable Singapore law; 4) the maximum amount of recovery to which a participant will be entitled under any and all circumstances will be the published tuition cost of the program with Yoga Mala after detecting admin fee and other classes completed, etc. This Agreement to arbitrate does not waive or modify any liability release agreed by the Student. Arbitration against Yoga Mala must be commenced within one month following the date of vacation completion. Neither the Company nor any affiliate shall in any case be liable for other than compensatory damages, and you hereby waive any right to punitive damages. No person, other than an authorized representative of Yoga Mala by a document in writing, is authorized to vary, add, or waive any term or condition, including any term or condition set forth in the preceding provisions. You will soon receive an email with subscribe link. Please subscribe to get download link.